This past week was a whirlwind! My husband and I went road-tripping and had quite the adventure but I’ll let him tell that story. 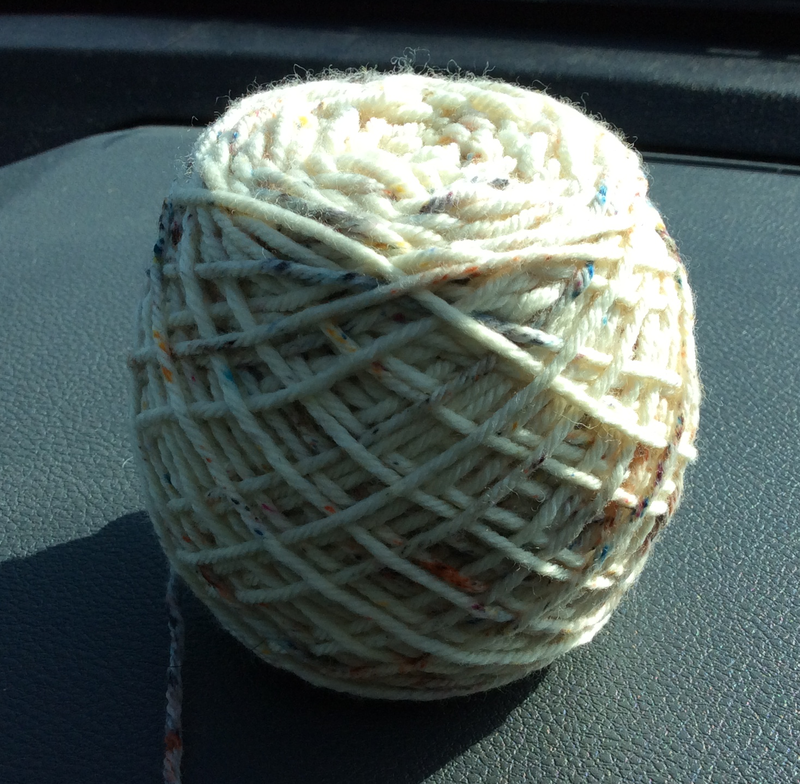 I normally scope out some yarn stores online before any trip and this trip was no exception. In Des Moines, I managed to visit two stores, Hill Vintage and Knits (a quirky, hip shop selling vintage clothes and new yarns) and Stitch (an equally charming knit, crochet, and quilt shop). The best part…the stores are mere steps from one another! At Hill Vintage and Knits, I scored a couple of skeins of Madelinetosh Vintage yarn in the colorway Modern Fair Isle. This just might be the most beautiful, tweedy yarn I have ever seen. 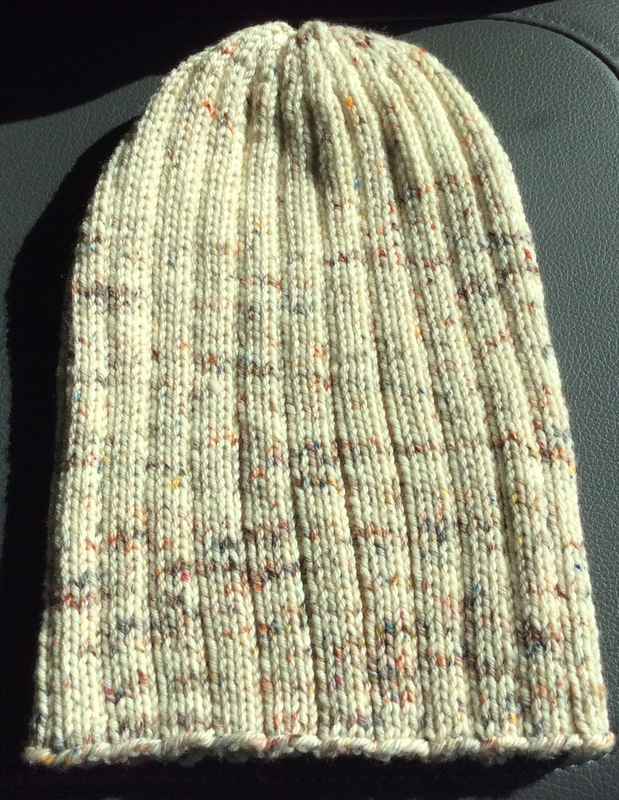 I liked it so much, I have already finished knitting up both skeins in a hat and cowl matching set. I liked it so much, I bought more of it from Eat Sleep Knit online! I need some gloves out of this stuff! 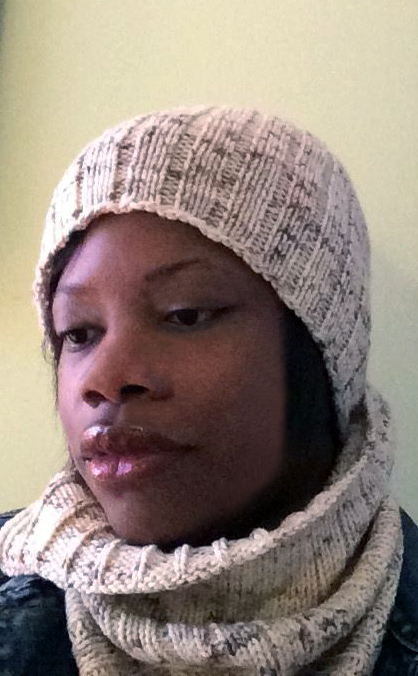 The hat and cowl are knit from the bottom up in the round on a circular needle. 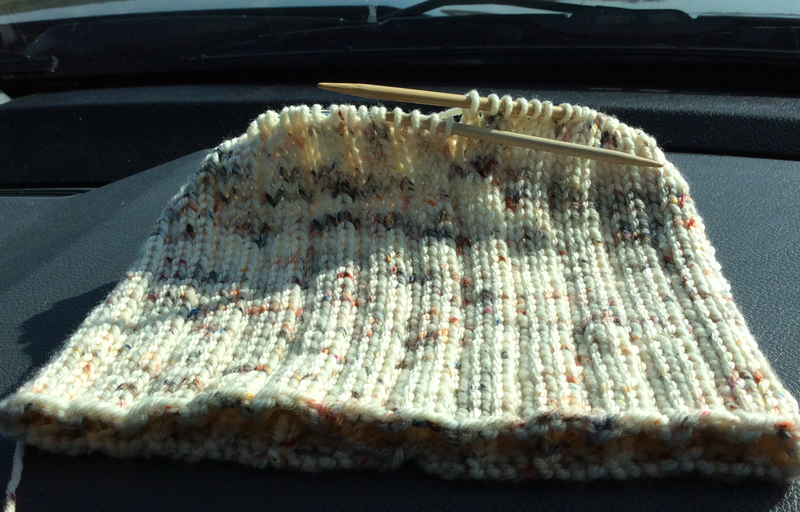 Obviously, the knit stitches for both pieces are similar since this is a matching set. The cowl features a two button placket which I now notice my photos don’t show. I’ll have to take a better photo and upload it. I paid special attention to finishing with the cowl as it required aggressive blocking, while the hat required very little blocking and I reckon you could get away with not bothering to block it at all. At Stitch, I picked out several skeins of Blue Sky Alpacas yarn. It just seemed perfect for a super comfy sweater. I gravitated to it so easily and it is so soft. I had to check the label twice to be sure it was cotton.